Students may earn college credit through the College Board AP program, CLEP Subject Examinations, the International Baccalaureate program and OBU Advanced Standing or Performance examinations. OBU students may earn up to 32 semester hours through credit by examination. If the student scores at the required level, credit is recorded on the OBU transcript. The credit is specified as being by examination, with a satisfactory grade of "S." Required levels are listed in this brochure but are subject to change. The student will receive written notice of the results of his examination from the OBU registrar as soon as the scores are received from the testing agency or local instructor. For specific score requirements, see pages 55-57 of the academic catalog. CLEP exams are available in more than 30 subjects and are administered monthly at more than 1,000 colleges and testing centers. These exams include multiple-choice and essay components. Students can take the exams at any Open Testing Center. To locate an Open Testing Center visit www.collegeboard.org/clep. For reporting your CLEP scores, OBU's college code is 6541. Sample CLEP questions are available at CLEP Testing Centers or the CLEP website. Check with your testing center for CLEP exam fees. Please note: OBU does not grant credit for CLEP GENERAL examinations. The AP program gives students the opportunity to take college-level courses and exams while still in high school. There are 33 courses in 19 subject areas. Exams are offered at the high school at the completion of each course. More information on AP programs and exams is available at www.collegeboard.org/ap. For reporting your AP exam score, OBU's college code is 6541. Check with your high school for the examination fee amount. The IB program is a comprehensive, two-year curriculum offered by some high schools which leads to a specialized diploma and offers examinations which may result in college credit. More information is available at www.ibo.org. 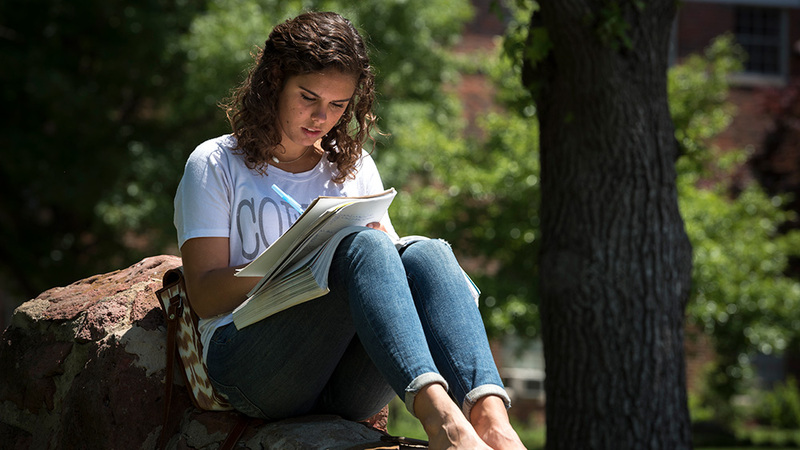 OBU only offers college credit for higher-level course work and examinations.